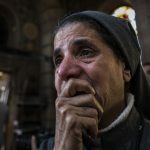 Bahrain Interfaith joins the international community today in condemning the dastardly terrorist bombings of two Coptic Christian churches in Palm on Sunday, the day of observation that begins Holy Week. Our hearts go out to the friends and families of those who are victims of this despicable tragedy. Obviously this seems a well-planned act of terrorism which ISIS declared responsibility for, through its Aamaq news agency. 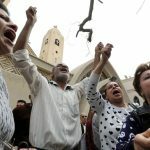 The same terrorist group claimed responsibility over a previous bombing attack against a church in Cairo on December of 2016 that killed 30 people. 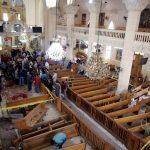 It is needless to remind the world that terrorism has no religion and have targeted all kinds of religions starting from all sects of Muslims and probably not ending with Christians unfortunately. This is a moment of prayer and unity not of hasty reaction and hatred which was the very reason of such attacks. We pray Mercy for the victims of this attack and soon recovery to the injured, as we ask God to give strength to all of those who have suffered during this crime. This entry was posted in Statements and tagged Christianity.